We are glued together…...by our sense of community values, our imaginative power, our grit, our perseverance and by a deep desire to help each other succeed. Since 1968, the Pepperell Business Association has provided community service, performed civic projects, and developed a forum for local businesses. The Association welcomes all business owners and area professionals to partake in quarterly meetings, the annual duck race as well as weekly summer concerts at the bandstand. See a listing of past presidents on our website. 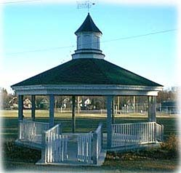 The group is proud of the many projects that have been completed, including the bandstand on the town field off Hollis Street and the lighted Howard Post Clock now at the head of Railroad Square. The quarterly meetings allow members valuable networking opportunities. These meetings customarily include a guest speaker who covers a topic relative to current events or town issues that affect local business.